"They went above and beyond today and made a dying man very happy." In the final hours of Peter Robson's life, he received a special visit from a cherished old friend. And a smile returned to his face. Robson, who had been battling fibrosis of the lungs, passed away at Ninewells Hospital in the city of Dundee, in Scotland, on Thursday. 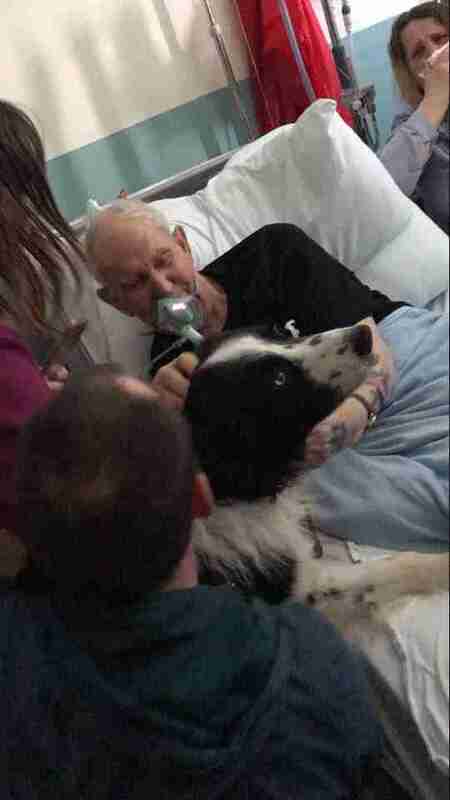 Before he died, caretakers at the facility made an exception to their no-pets policy in order to fulfill Robson's dying wish — to see his dog Shep one last time. Shep had been Robson's inseparable companion following the death of his wife eight years ago. 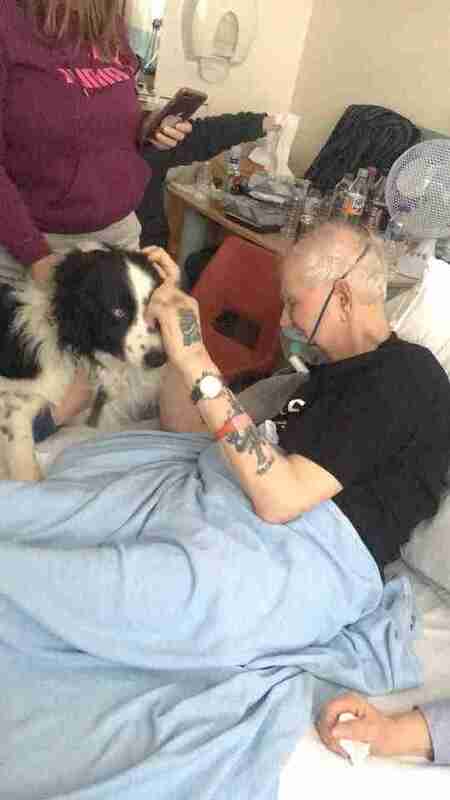 But after being admitted to the hospital, Robson feared he might never see his dog again. Robson's granddaughter, Ashley Stevens, was there with her family as Shep was led in to bid his friend goodbye. Writing online, she thanked the hospital staff for making that moment possible: "Still in shock that the wish was granted and they went above and beyond today and made a dying man very happy." She shared this video of that touching scene. Sadly, later on that day, Robson passed away at age 70. But while it will still take time for Shep and his family to cope with their loss, they're taking solace in knowing that he was surrounded by those he loved — including the dog who had always meant so much to him. "We're very grateful for that last memory," Stevens told The Dodo.